Enhance the Nutritional Profile of Bake Goods with Pulses as Ingredients. Baking Guide - Enhance the nutritional Profile of Bake Goods with Pulses as Ingredients. 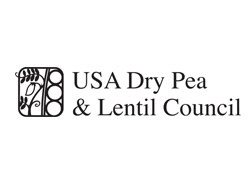 Dry peas are among the most powerful of pulses. Their nutritional importance dates back almost 10,000 years BC when the protein and energy in these legume seeds were essential to developing cicilizations. Even in modern times the high quality protein, natural dietary fiber and beneficial starch in dry peas is difficult to match.